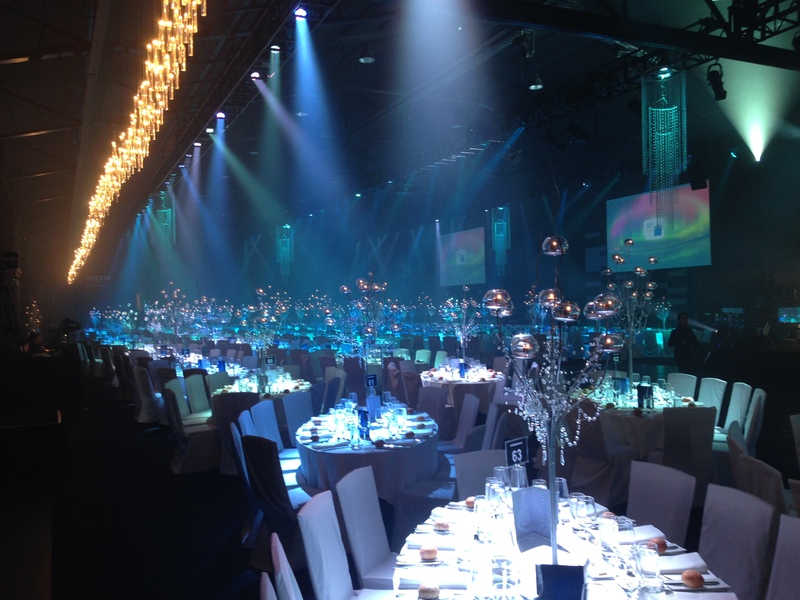 With over 1000 staff full of expectation and ready to party the corporate Christmas party AGL delivers is a highly anticipated annual event. 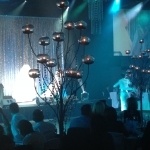 Staged in the Peninsula Room at Atlantic Group’s Central Pier event warehouse the event has to please a diverse range of AGL staff – choosing an appropriate theme is not easy! 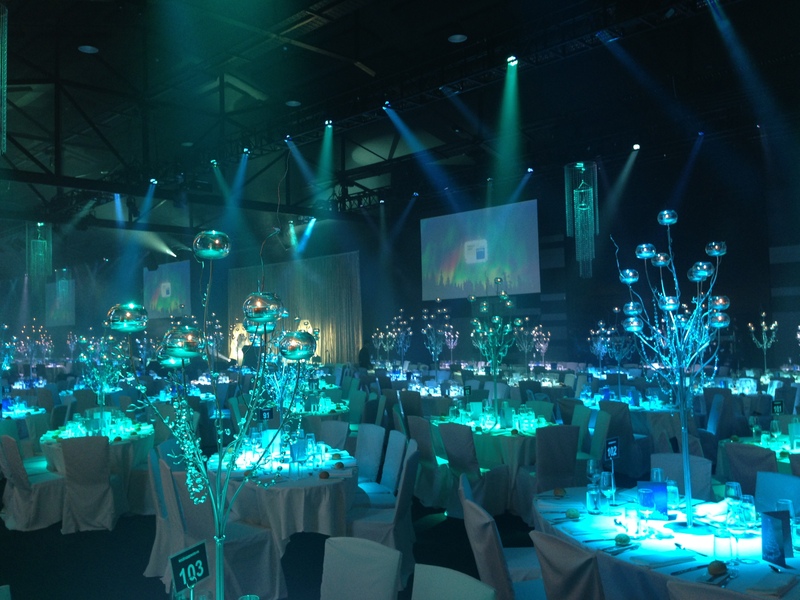 Having explored several potential and widely popular party themes, the Instinct team settled on a unique concept code-named Crystal Forest. 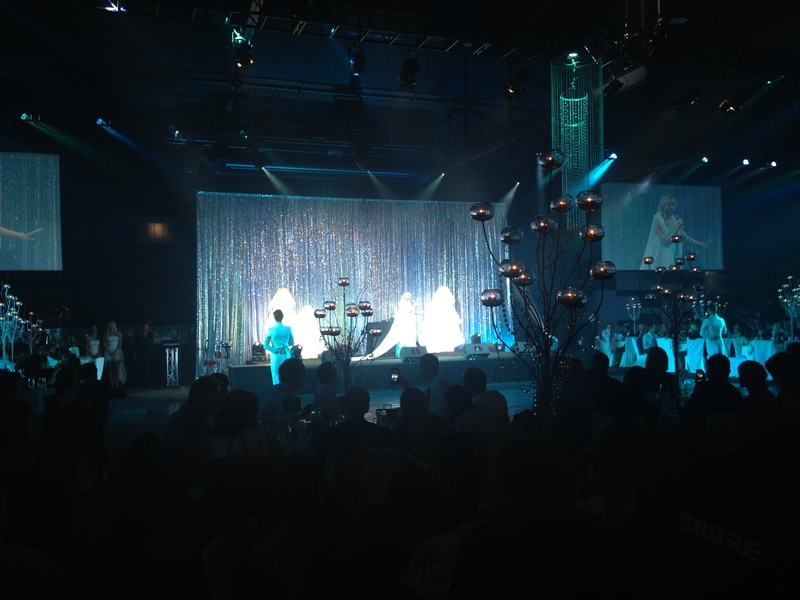 Designed to enhance the already stunning event space, the look was a reimagined Winter Wonderland theme inspired in part by ever-popular fantasies such as ‘Nania’, ‘Frozen’ and ‘Willy Wonka’. 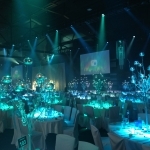 The room was simple yet dramatic, featuring over one hundred 1500mm-1800mm high crystal candelabra trees set on the tables and complemented by a series of huge cascading bead-drop chandeliers. 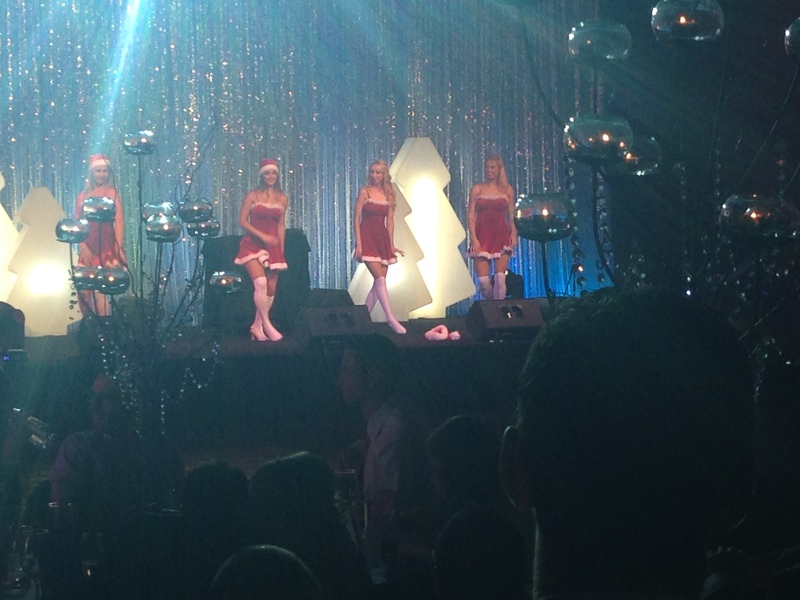 The stage was backed by a shimmering silver sequin drape and featured clusters of stylized LED Xmas tress. 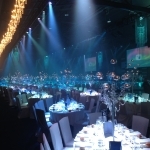 A huge rig of theatrical lighting then brought the entire setting to life, changing colour and mood throughout each entertainment set. 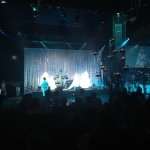 The theme was then brought to life with an opening performance featuring local vocalists and dancers who performed an odd assortment of theme and Christmas related classics including: Pure Imagination, Let it go, Love is all around, and All I want for Xmas is you. 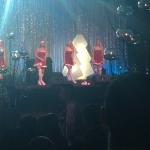 What a way to break the ice and kick off a wonderful night! Later in the evening the AGL staff didn’t disappoint, absolutely crowding the photobooths and ripping up the Dancefloor to the soulful beats of local covers band Stereo Fox. Amazing night Jon! Well done to you and the team, the compliments have been flowing. I agree with Mel. 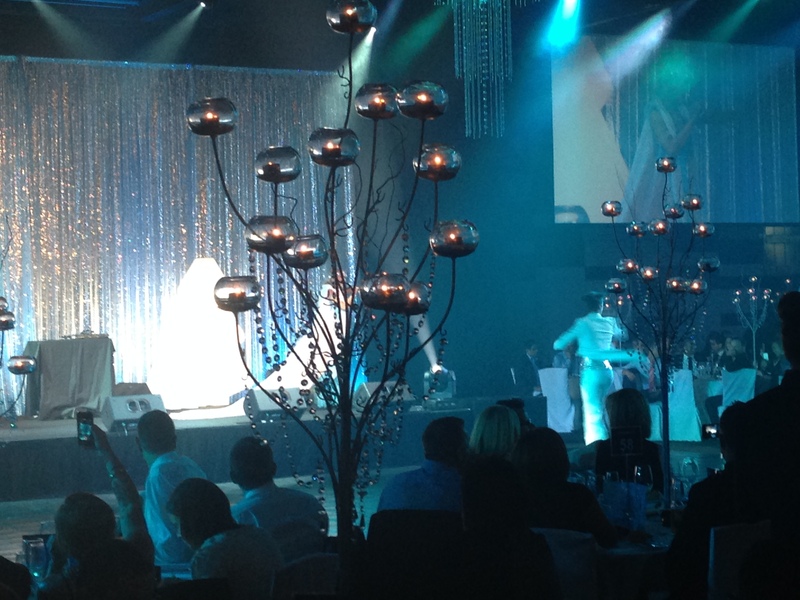 Everyone had a great night, thanks Jon, you did a great job!! !